The junction between two nerve cells at which there is a minute gap. A nerve impulse bridges the gap via a neurotransmitter. 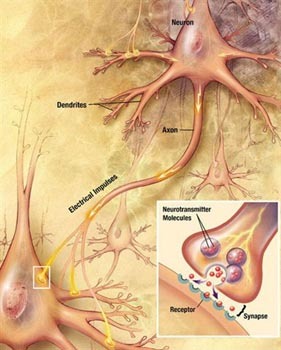 The chemical diffuses across the gap that connects the axon of one nerve cell to the dendrites of the next. Some brain cells have many thousands synapses.